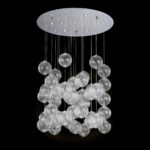 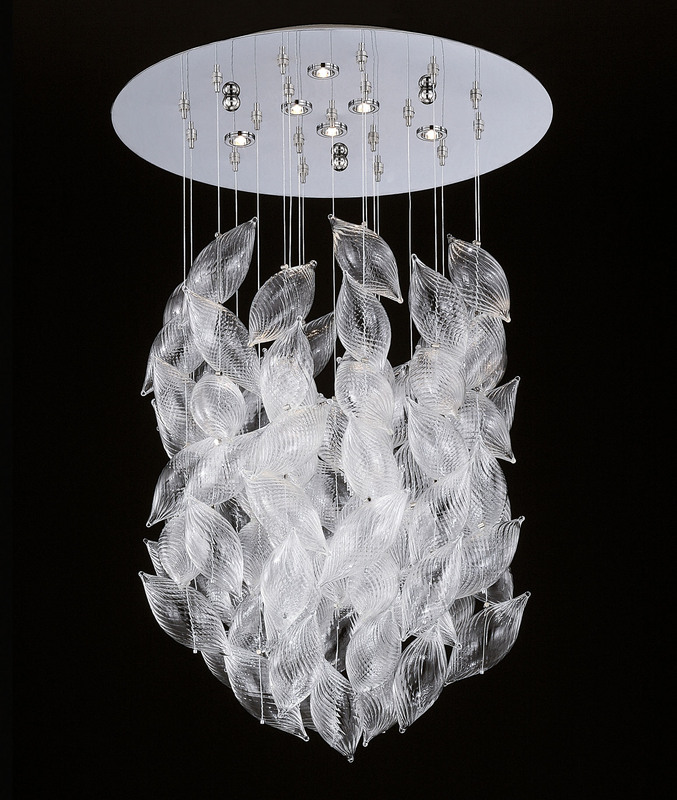 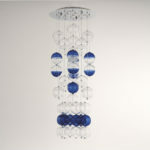 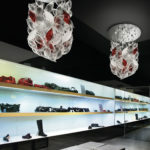 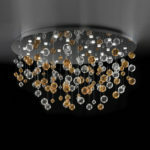 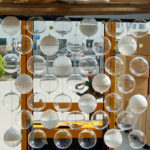 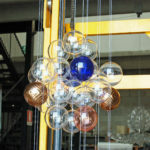 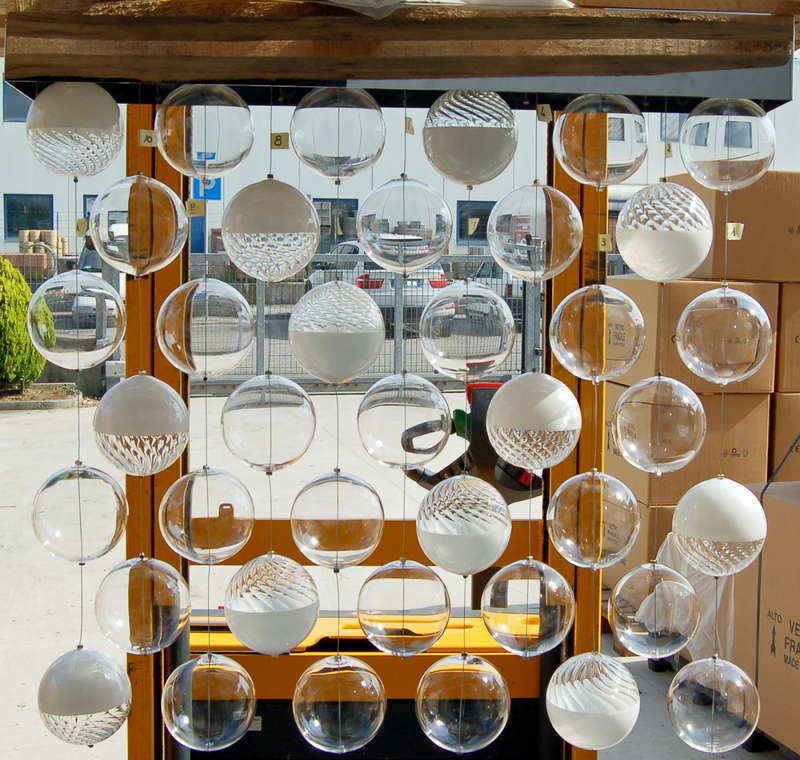 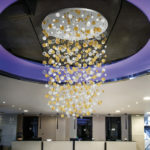 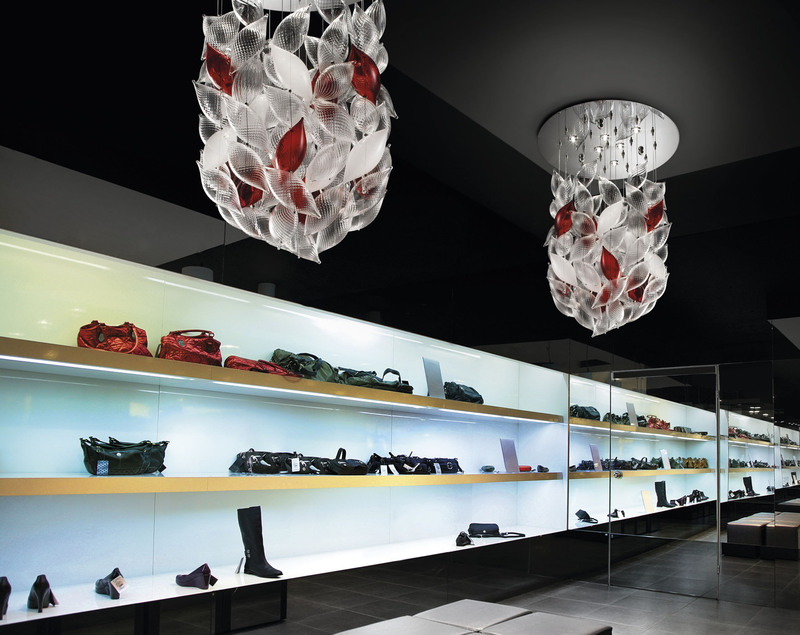 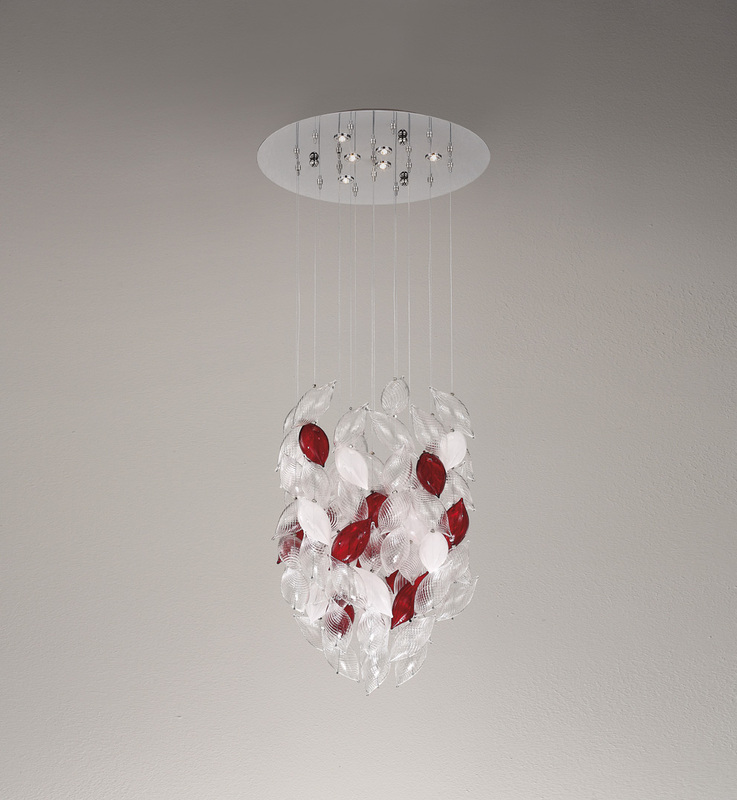 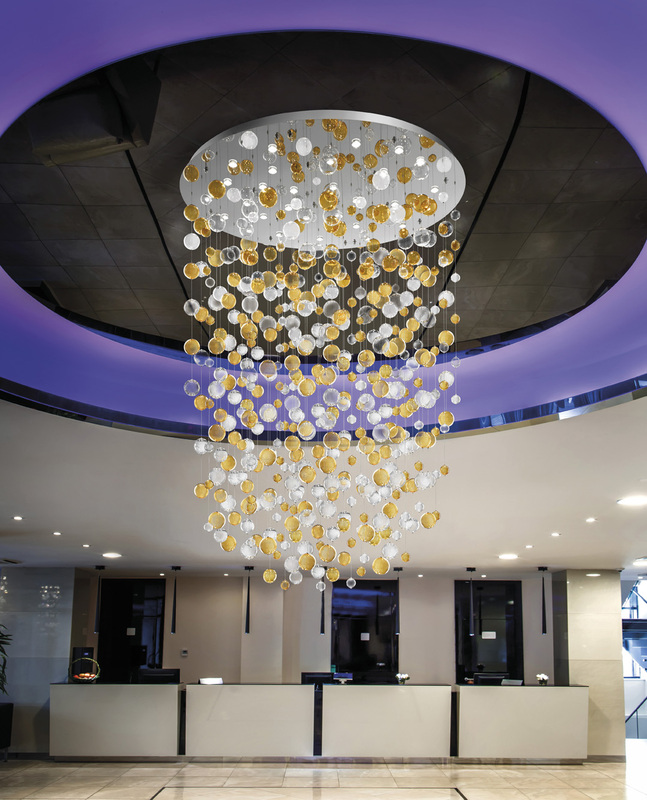 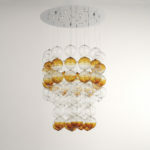 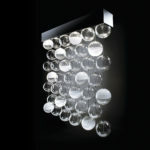 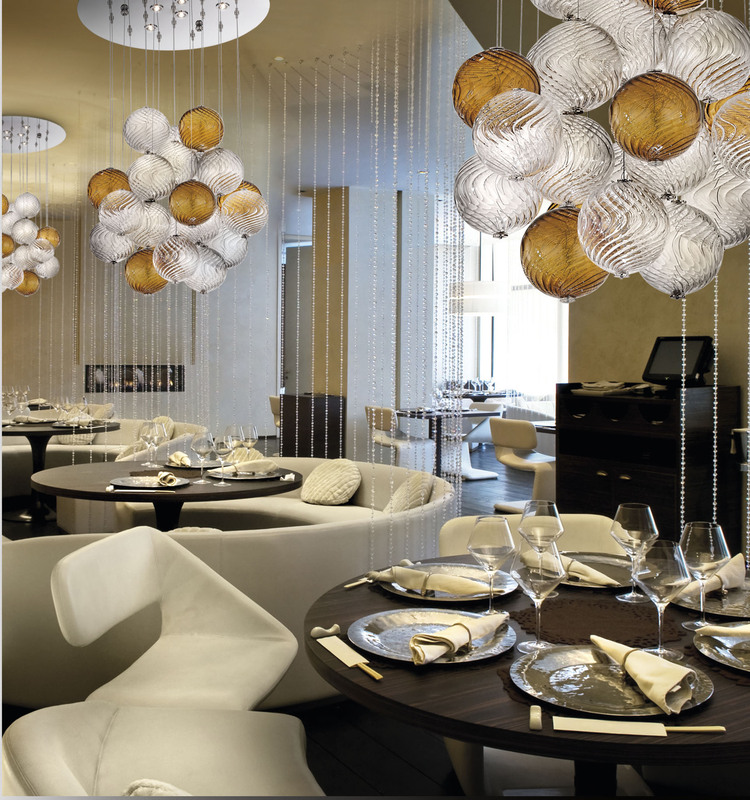 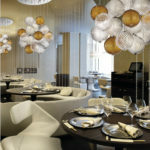 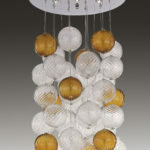 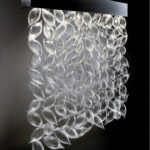 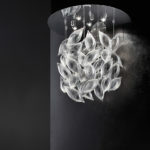 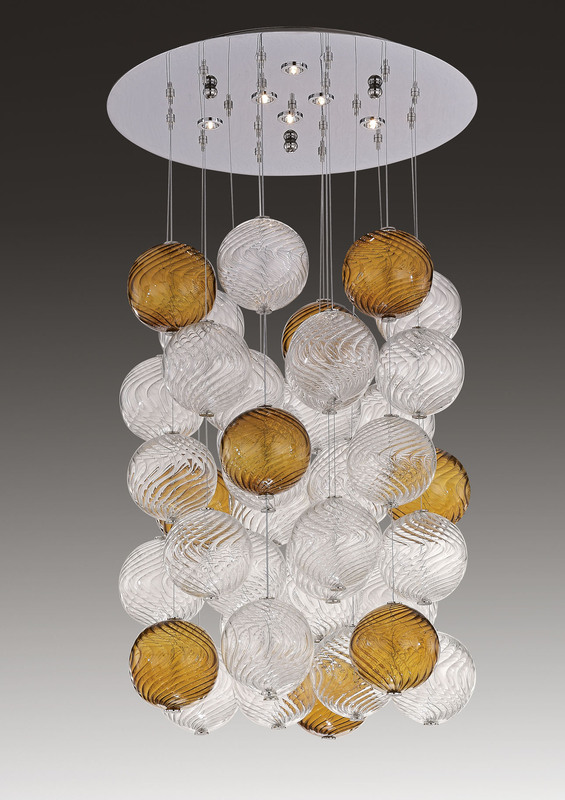 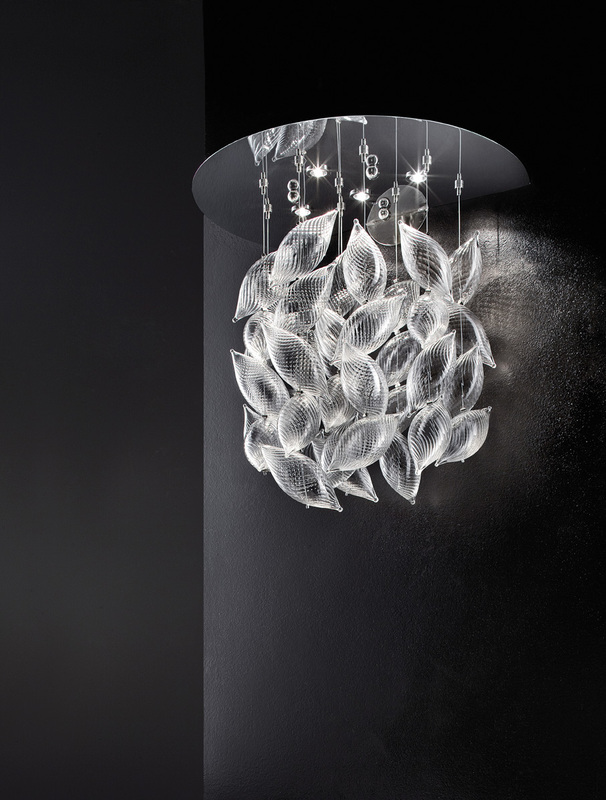 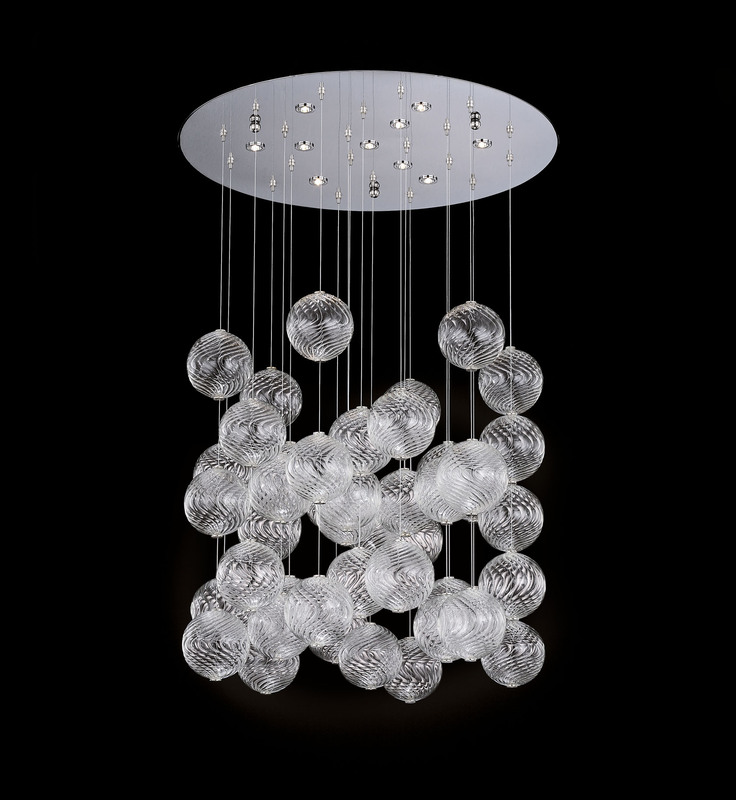 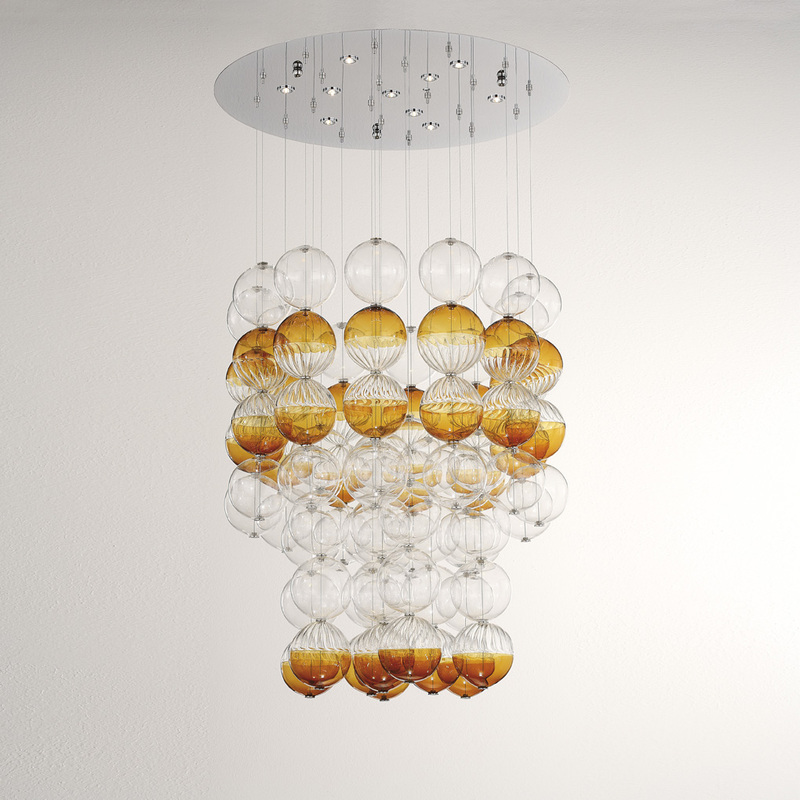 Bolle di vetro and Chicchi are light sculptures suspended in the air, sequences of hand-blown Murano glass creations that fill and animate the space. 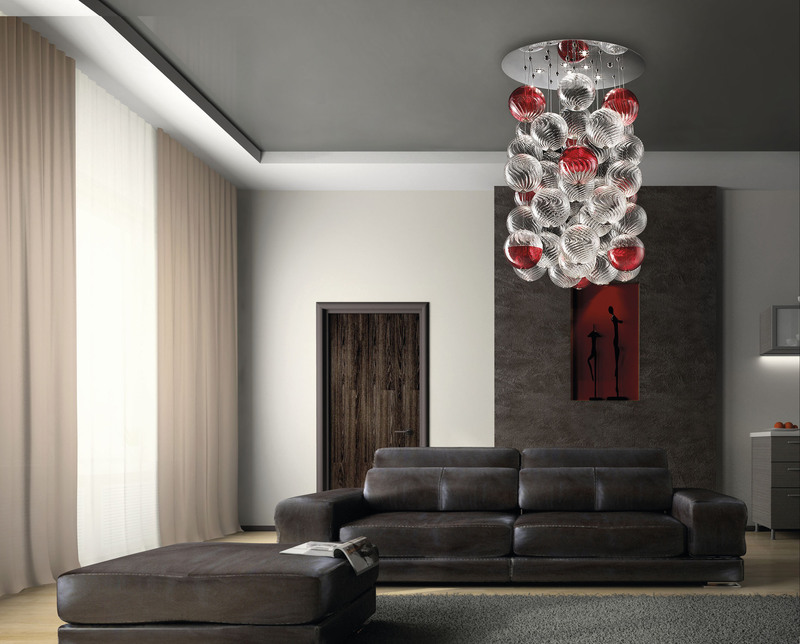 In these collections design is just an opportunity to put the glass in the forefront, the attention is focused on Murano glass, its shapes, patterns and colors. 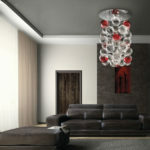 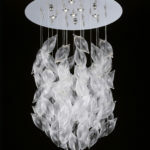 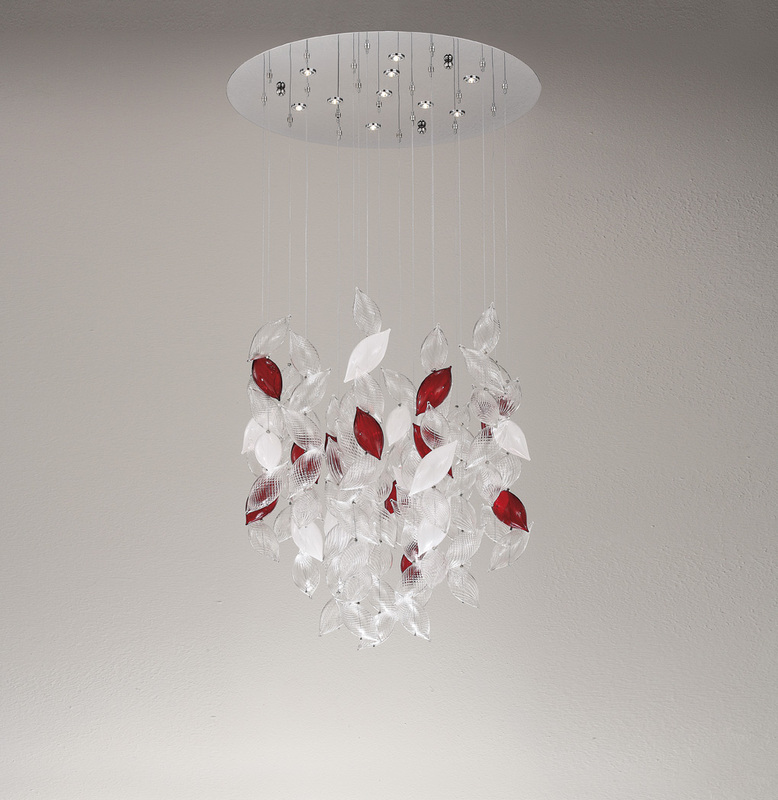 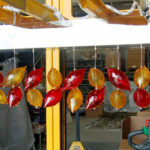 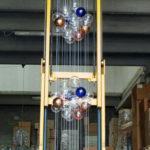 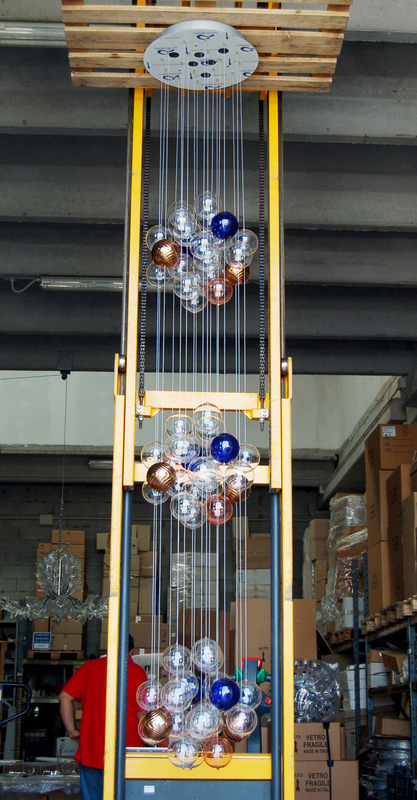 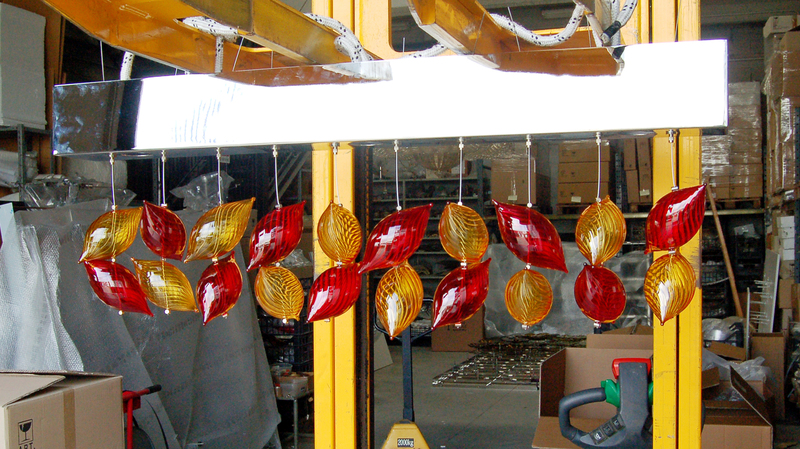 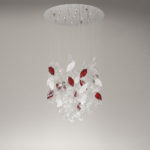 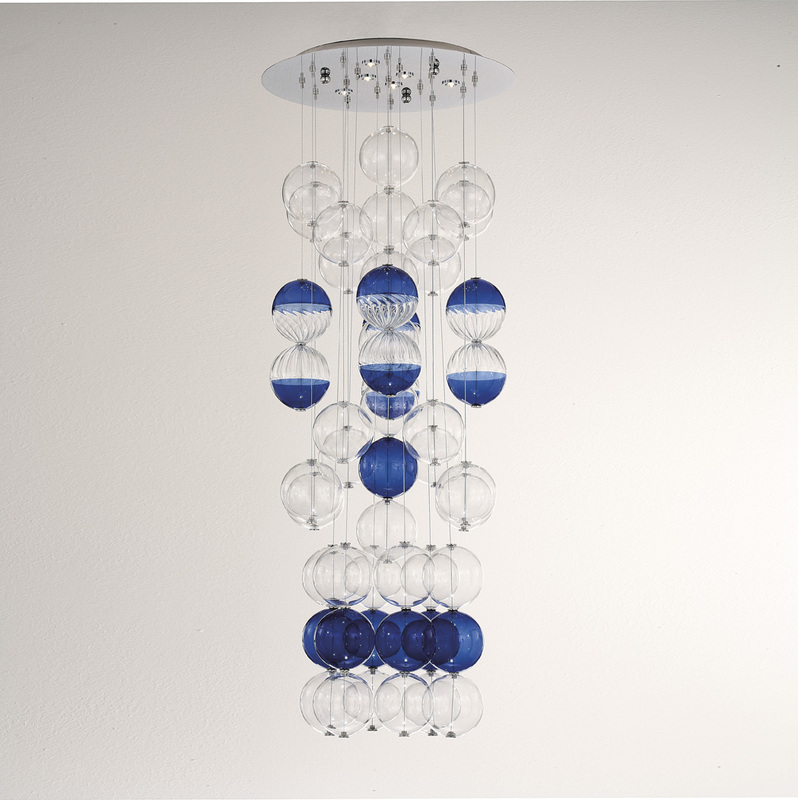 The simple design of these creations allows to highlight the beauty of glass, realized following the traditional Murano techniques. 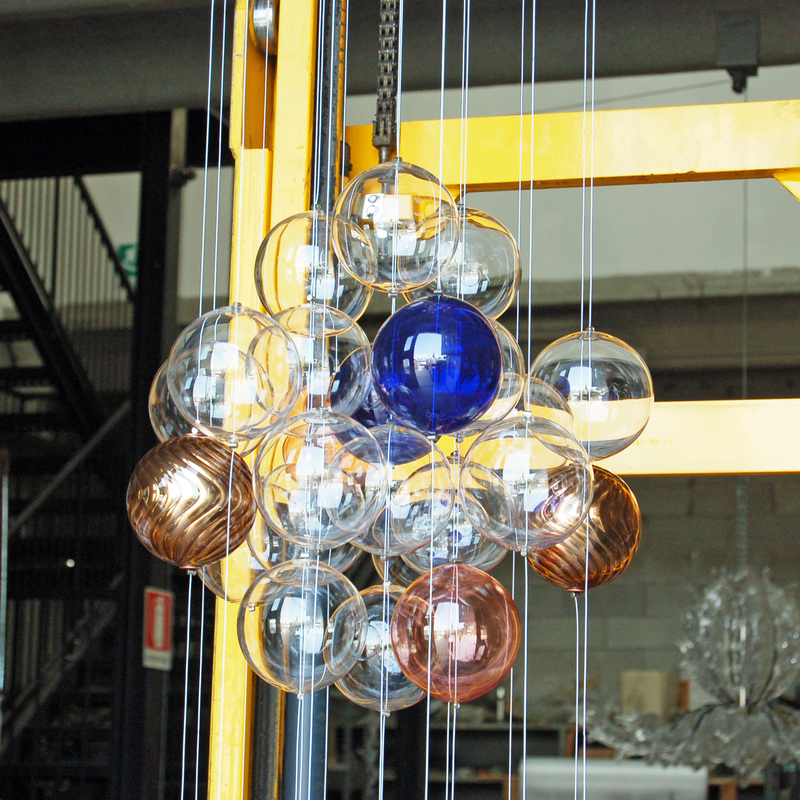 Both glass bubbles and grains are precious elements made of Murano blown glass, created by our master glassmakers thanks to skillful gestures, floating in the air and held by sturdy but imperceptible wires. 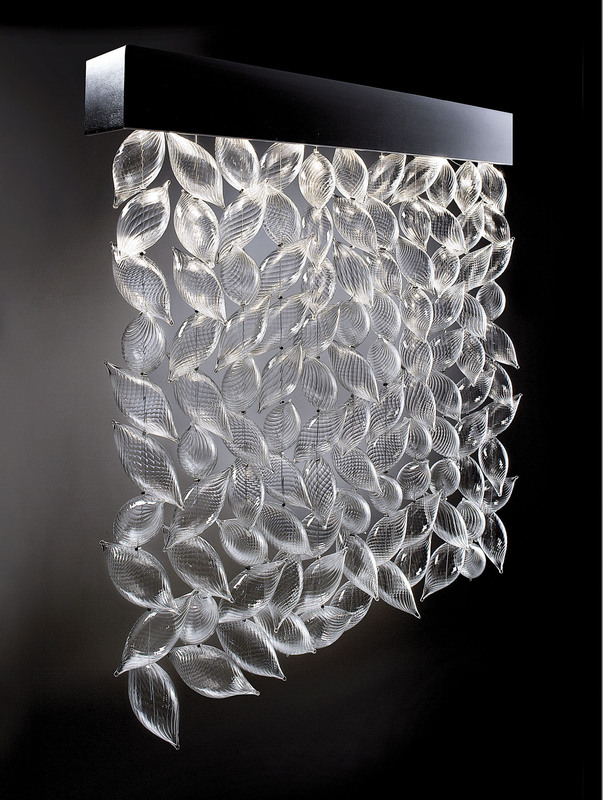 The dynamism of these collections is amplified by the light that caresses the glass, creating varied and iridescent shades. 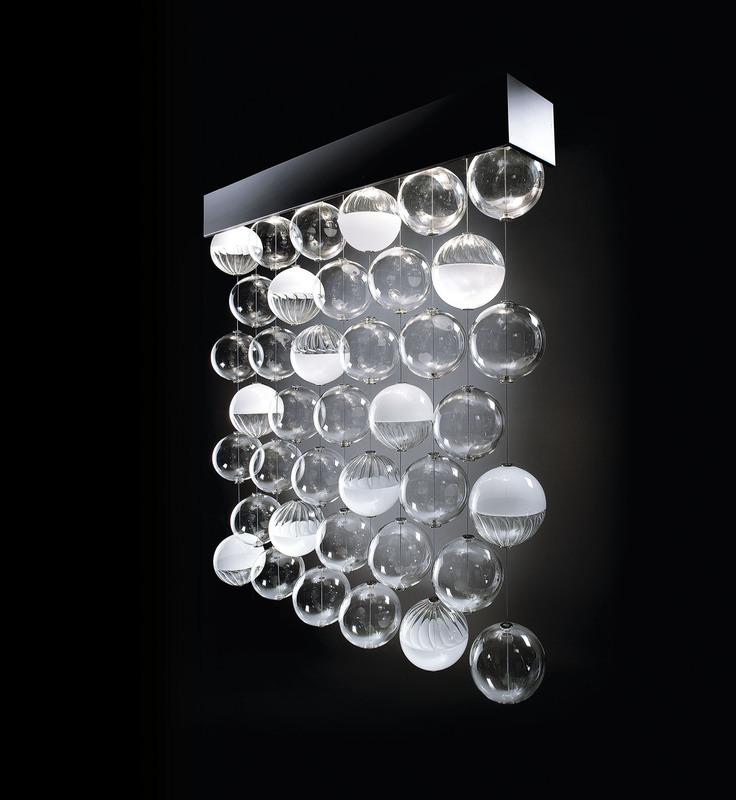 The modern design makes Chicchi and Bolle creations suitable for any type of room, illuminating a space, giving it elegance and vivacity. 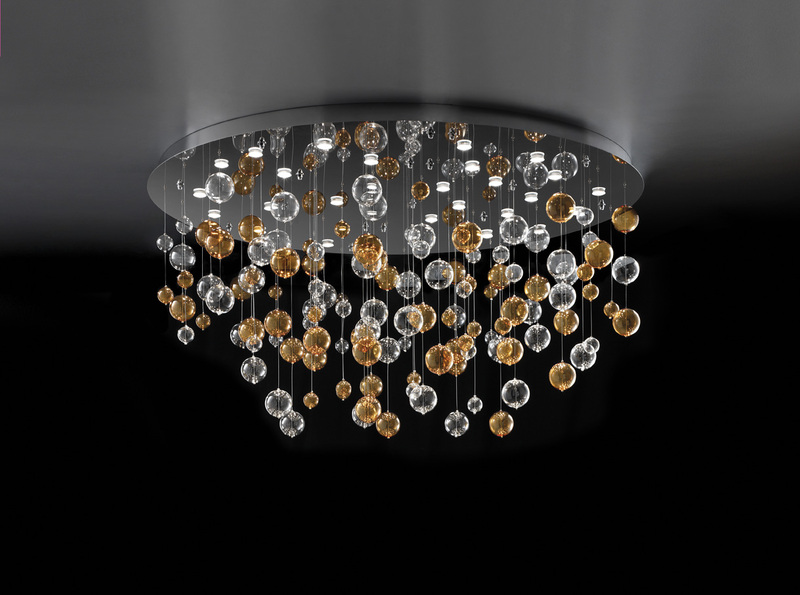 As all our collections, even Chicchi and Bolle have many standard items, but on request our designers can imagine and design bespoke solutions. 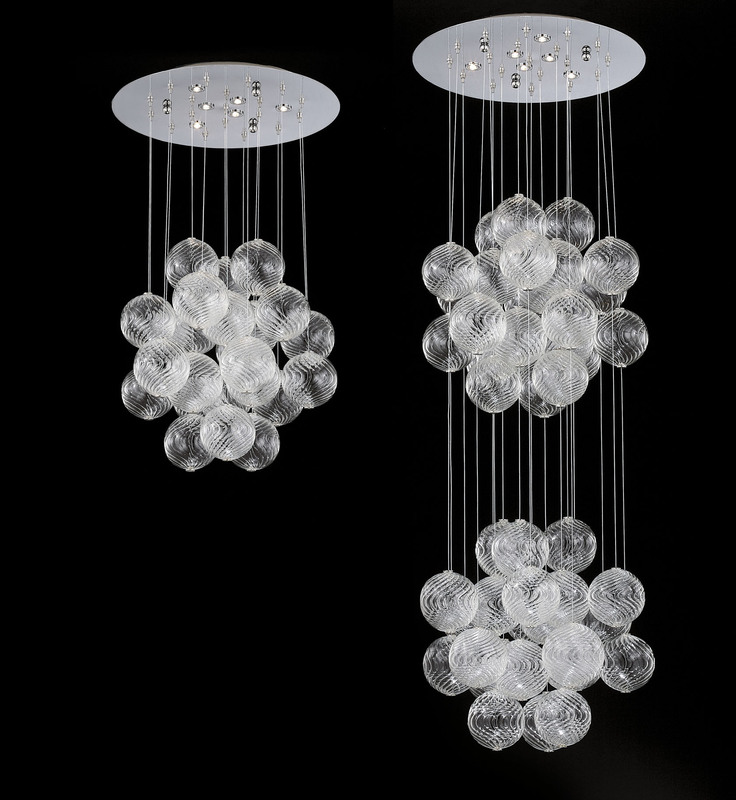 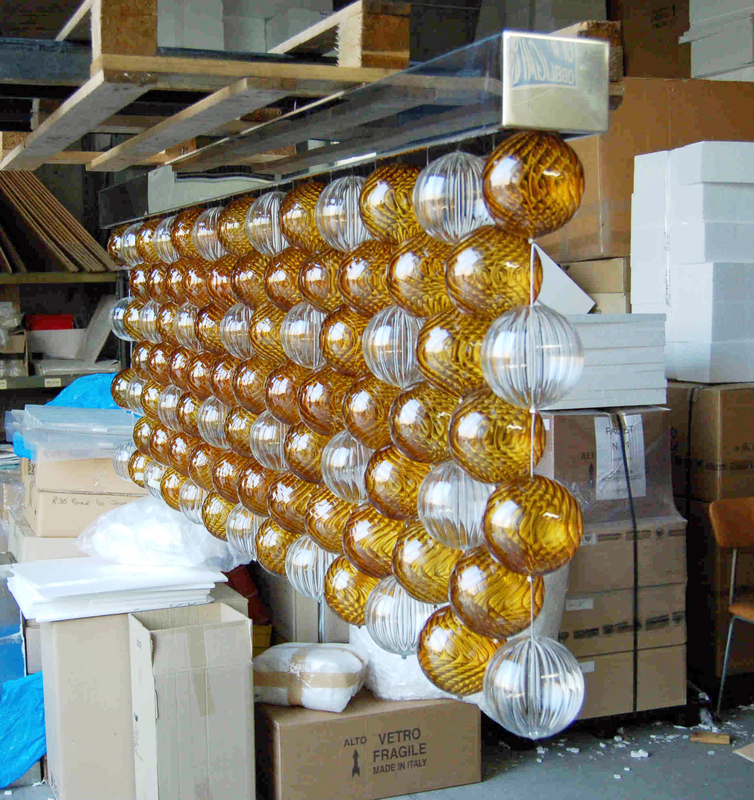 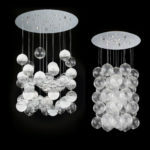 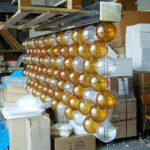 Both series, in fact, lend themselves to imagine new creations, custom blown lights with various dimensions, playing on the different sizes of the glass elements, their pattern and color.